Pat Miller has been named the 2018 Lifetime Achievement Award recipient by the Association of Professional Dog Trainers Board of Directors. She will be recognized during the opening keynote address at the 25th APDT Education Conference and Trade Show Oct. 17-20 in Memphis, Tennessee. The Lifetime Achievement Award honors APDT members who have made outstanding contributions to the association and the dog training industry throughout their careers. Pat’s entire adult life has been working with animals. The Springfield, Illinois-native first became a horse trainer in Wisconsin and then worked 20 years at the Marin Humane Society in Novato, Calif. It was during this time she collaborated with Trish King to create the country’s first color-coding system for assessing shelter dogs and volunteers. The system was successful in reducing behavior problems in shelter dogs with a corresponding reduction in euthanasia by identifying more challenging dogs and matching them with more experienced and capable volunteer handlers. She has trained a variety of breeds and mixed breeds (her own dogs) including Rough Collies, a Bloodhound, Australian Kelpies, Bull Terrier, Irish Setter, St. Bernard, Scottish Terrier, Cardigan Welsh Corgi, Australian Shepherd, Pomeranians, and a Springer Spaniel, and competed successfully with many of them in the obedience and Rally rings, most recently with her Pomeranian, Dusty, and mixed-breed Terrier, Josie. She also trained her first Australian Kelpie to herd sheep and ducks. Keli was Miller’s Canine Field Agent, riding with her on patrol during the years she was an animal services officer in California. In 1996, Pat moved to California’s central coast after completing her bachelor’s degree, with honors, in business administration and launched Peaceable Paws, LLC in Monterey and Santa Cruz. She also holds an associate degree in Administration of Justice. She also became involved with the Santa Cruz SPCA, introducing them to the color-coding system and served on their board of directors. That was the same year she joined APDT. 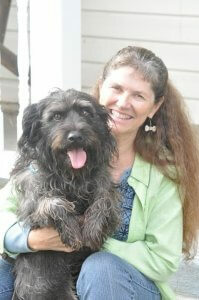 In the fall of 1999, Miller and her husband, Paul, relocated Peaceable Paws to Chattanooga, Tennessee. With other like-minded residents, she helped create FOCAS – Friends of Chattanooga Animal Services – a non-profit organization whose mission is to support the work of the Chattanooga Animal Services Division. A big year for Pat was 2001. She and her 14-year-old Terrier mix, Josie, were one of the first 23 dog/owner teams in the world to earn a title at the first-sanctioned Rally Trials, the then-newest canine sport, at the APDT annual conference in Ellenville, New York that fall. Also that year, Pat was one of the first 136 trainers to be awarded the title of Certified Professional Dog Trainer (CPDT-KA), through the Certification Council for Professional Dog Trainers (Pat also received her CBCC-KA through CCPDT), she was elected to the APDT board, and her first book was published. Back in Chattanooga, Pat opened the Peaceable Paws Intern Academy in 2002, which attracts trainers from around the world. In cooperation with several other APDT members, she helped create TAPPT, the Tennessee Association of Positive Pet Trainers and in Maryland, MAAPPPT, the Mid-Atlantic Association of Positive Professional Pet Trainers. That same year she became APDT president, serving in that position for two years. Pat and Paul moved to Fairplay, Maryland, in the spring of 2004 where they live on an 80-acre farm with their two dogs, seven cats, four horses, and five chickens. It is also the location of their Peaceable Paws dog-friendly training center and Peaceable Pastures horse-friendly boarding facility there. Pat continues to offer group dog training classes, private behavior consults, training camps, seminars and workshops worldwide, expert witness services for animal-related legal cases, and is director of the Peaceable Paws Trainer Academies and Training Programs.